Here’s a look at what non-“Big Two” comics are coming out in October. Full solicitations not yet available as of this writing. 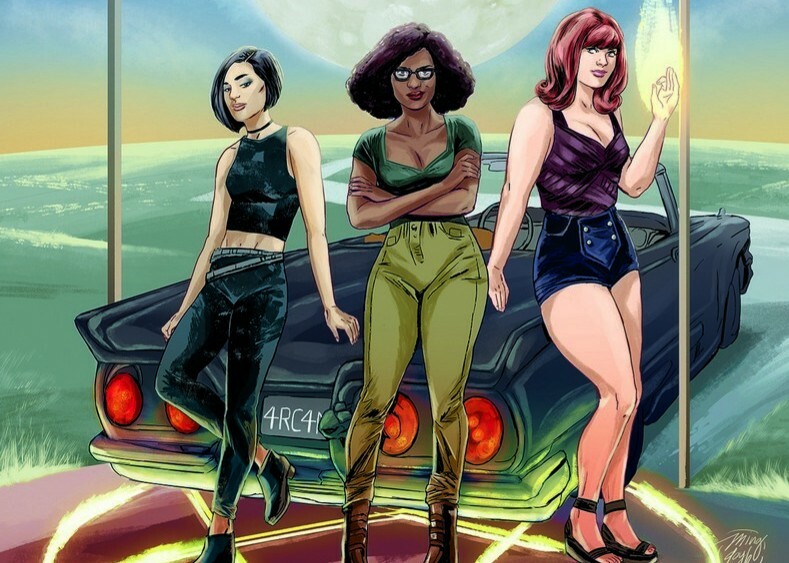 Writer Kate Leth and artist Megan Levens are working on a new miniseries, “Spell on Wheels,” about a trio of witches driving cross-country to retrieve various stolen magical objects. “Garfield: His Nine Lives” is an updated version of the original graphic novel/TV special about Garfield’s supposed past lives. The new edition features different takes on these “past versions” by various writers/artists. Tom Tomorrow’s comic strip “This Modern World” sees released this year an omnibus hardcover “25 Years of Tomorrow.” On the more affordable side of things, the latest collection of his strips is being released. The title’s an apt description of this year’s political events to date.